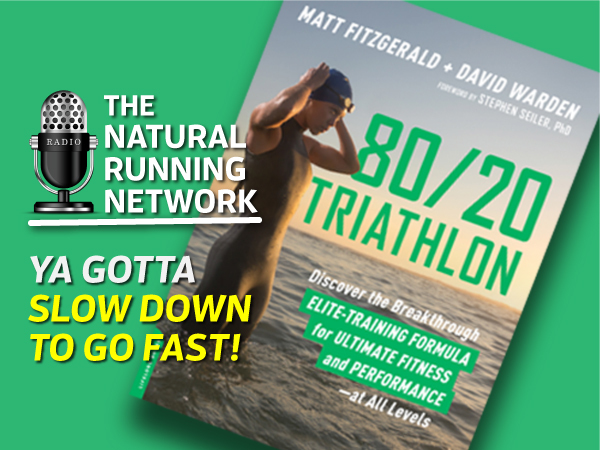 My good friend Matt Fitzgerald is back with a new book The 80/20 Triathlon. This training principal is a winning formula for most any endurance sport and I highly recommend that all of my listeners pay attention to this episode. It works for OCR too! Once you understand how important it is to partition your training with a high percentage of aerobic conditioning and when and how to apply intensity you’ll start to see progress in all aspects of your program. Ya gotta go slow to get fast! Hey Rich. Just spent 23 seconds over at Matt’s website. Love the 80/20 podcast. Saw this come up on my FB feed and looked down into my work bag and see my “go to” book for all things running…..what else but, 80/20 running! Can’t wait to get my hands on this one so that I don’t have to convert all the “cross training” days to meet my triathlon needs! Hey Rich, thanks for another great podcast! I always enjoy when you interview Matt. I’ve learned a lot about running and training ever since I’ve started listening to you, and I would really appreciate the opportunity to reach new heights in my performance by reading through Matt’s book! Awesome interview with Matt Fitzgerald! 23 seconds would be hard for me to deal with, hopefully he takes another crack at Iron Man soon. LOVED The Endurance Diet and am sure The 80/20 Triathlon Formula will be full of useful information as well. Keep up the great work! Great podcast and threat of a free book peaked my interest;) I had to laugh a few times when you guys discussed the “threshold” and those guys who try to reach the very edge of that threshold and struggle with dialing it back – that’s totally me, mainly because I don’t have many running opportunities available during the week… maybe 3, sometimes 4… a big lingering question I have, is during my life by run, which I do at ski resort, I keep a moderate pace with heart rate reasonably low but I can’t resist the 3 steep hills that I run past and I hit each of those hills on every run, but then return to lower effort/aerobic pace… begs the question: does the 3 hill sprints mixed into the overall aerobic run reduce the effect or a no act of the overall run? Maybe the answer is in this book? …. page 23 maybe? Hey Richard! I enjoyed this episode a lot. As an OCR athlete and trail runner (having failed Georgia Death Race three time by more than 23 seconds, lol), 2019 is the year of the Ironman for me. I have struggled with the volume and principles of the bike and swim in order to make this happen. I use yours and Matt’s running principles for the run, but throw in random sessions for the other two.